A couple of years ago, I stopped making the usual expected New Year’s resolutions. Losing weight, making time with my family, spending less money, being more positive, they’d all last maybe a few weeks, months if I was lucky. So I decided to make a different kind of resolution, to spend time outdoors every day. Then something amazing happened, I began to lose weight, feel better, and spend more one on one time with my husband, just talking. I found myself taking time to teach my son about nature, and learning a few things myself. I started to challenge myself, climb higher mountains, hike longer trails, even learn to appreciate winter. It’s amazing how my unspoken goals were beginning to achieve themselves, and I didn’t even feel like I was trying. 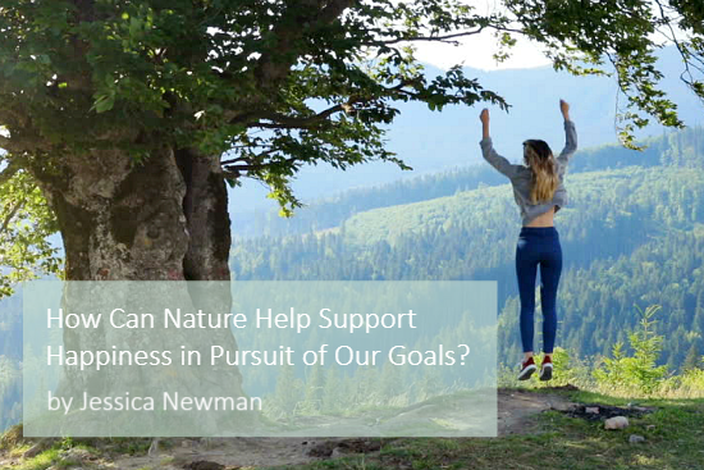 See the full post by Jessica Newman here: How Can Nature Help Support Happiness in Pursuit of Our Goals?